Here is everything that you need to know about the upcoming third-generation Maruti Suzuki Dzire. The new-generation Maruti Suzuki Dzire is all set to be launched in May, 2017. The 'Swift Dzire' as it is currently called was first launched in India in 2008 and you can read all about its important milestones here. Needless to say, the car has done really well for Maruti Suzuki and with the subcompact sedan segment growing rather rapidly in India, it was time for Maruti Suzuki to give one of its best-selling cars a thorough update. The third generation Dzire has been spotted testing in India many a times. The company has decided to drop the 'Swift' name and keep it at just 'Dzire' for the new model. While we have already told you all that has changed in the new Dzire, here are top 10 things that you need to know about the car. The car has been finally unveiled in India. Bookings for the same will begin in the first week of May itself. Read our review of New Maruti Suzuki Dzire. 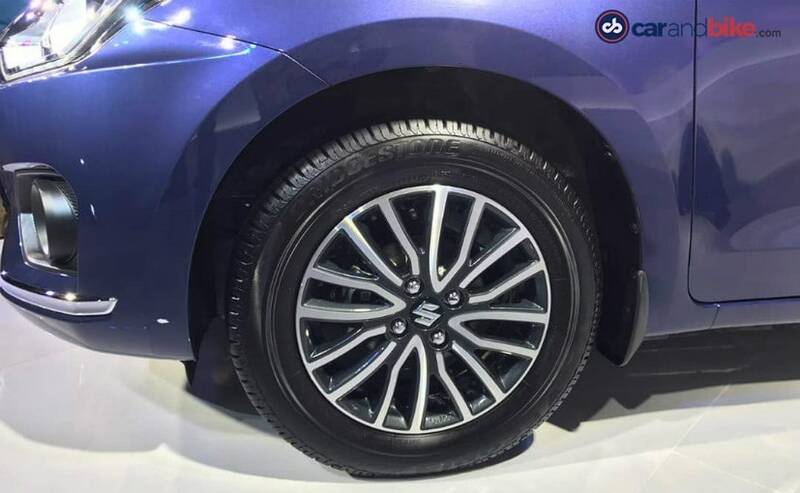 This will be the 3rd generation model of the Maruti Suzuki Dzire. The first generation was launched in 2008, 3 years after the first generation Swift hatchback was launched in India. The front end of the 3rd gen Dzire has been completely updated. The car now gets a re-designed hexagonal grille along with a chrome strip running around it. The front bumper has been re-styled along with the headlamp cluster as well. The rear of the car also sees very mild styling revisions in the form of slightly re-designed tail lamps. Maruti Suzuki says that the interior of the car will have a proper upgrade as well. Leaked images showed that the cabin gets faux wood trims, a flat-bottomed interior and a dual-tone scheme as well. 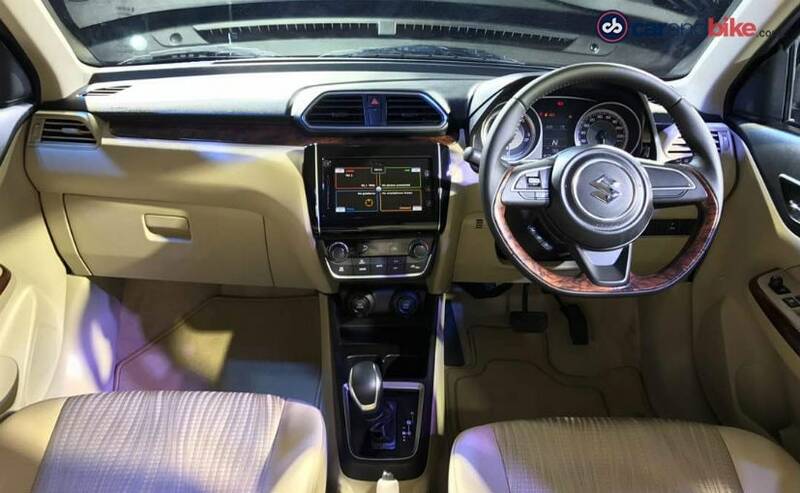 Coming to connectivity options, the all-new Dzire will have a touchscreen infotainment system, which might be the same as the one on the Ciaz and the Baleno. 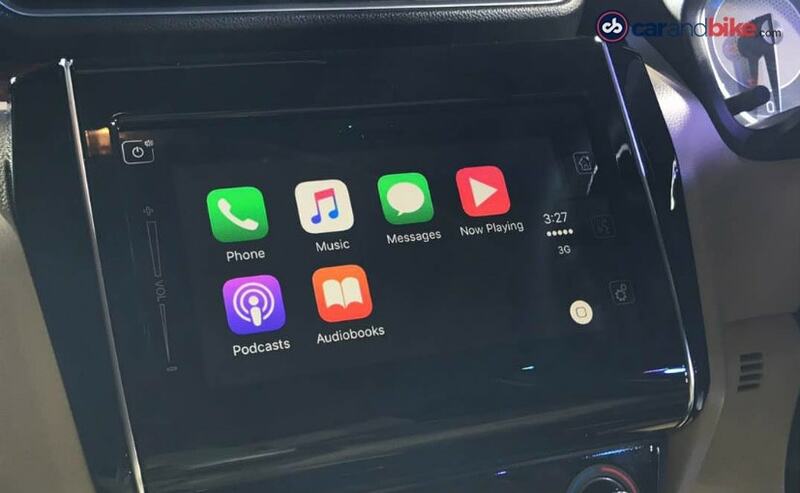 Maruti will also offer Apple CarPlay/Android Auto on the top trims along with the regular fare of Bluetooth, USB, Aux-in etc. We believe that the upholstery used in the new Dzire will also be slightly more premium than the one currently in use. The cabin should also have more convenience features than the model currently on sale. 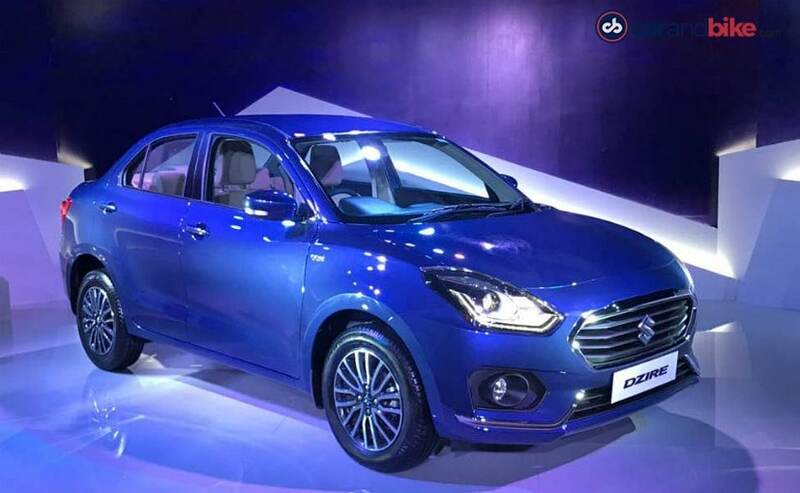 The top trims of the third generation Dzire will have projector headlamps, LED DRLs, newly designed alloys and other such cosmetic updates as well. The overall silhouette of the car looks more proportional and balanced now. 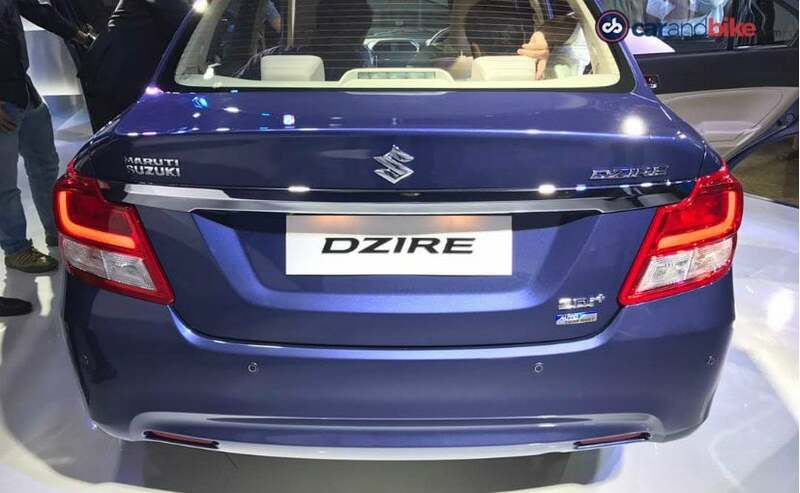 Maruti Suzuki will also offer the all-new Dzire in new colours as well. So far we have had spy-shots of a dark red, dark blue and a brown coloured Dzire. The engines used on the new-generation Dzire remain the same as earlier. The diesel variant will continue to get a Fiat-sourced 1.3-litre multi-jet engine which will have the SHVS or the mild-hybrid technology found on the Ertiga and the Ciaz as well. The petrol variant of the new-gen Dzire will feature the 1.2-litre engine. The power and torque outputs of both the engine remain the same. As far as transmission options are concerned, the new-gen Dzire will have a 5-speed manual gearbox along with a 4-speed torque convertor unit for the petrol automatic variant and an AMT unit for the diesel automatic variant. 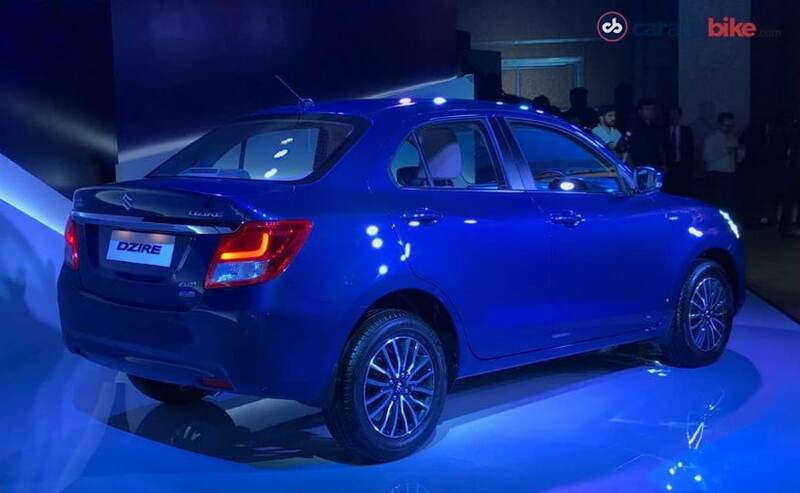 The rivals for the third generation Maruti Suzuki Dzire will be the Hyundai Xcent facelift, Tata Tigor, Volkswagen Ameo, Ford Aspire and the Honda Amaze.